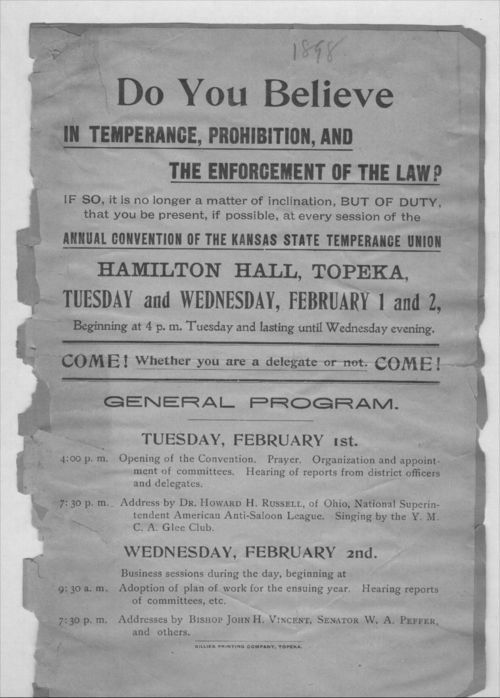 A poster announcing the Annual Convention of the Kansas State Temperance Union at Hamilton Hall in Topeka, Kansas. The convention featured speeches, business sessions, and committee reports. Do you believe in temperance, prohibition, and the enforcement of the law?